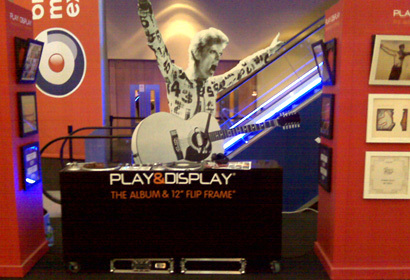 Over a 3 year period Art Vinyl supplied mini record cover art exhibitions at the O2 Arena in London, which were dictated by the artists performing at the UK’s most visited concert venue. 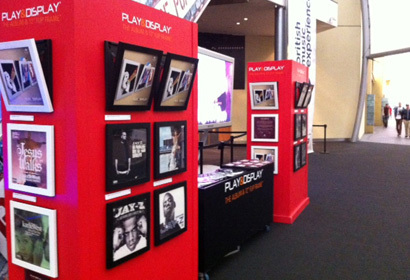 For every show Art Vinyl also provided a warm up Play & Display DJ who’s creative boundaries would have to stretch from Barry Manilow to Metallica depending on the artists performing in the main Arena. 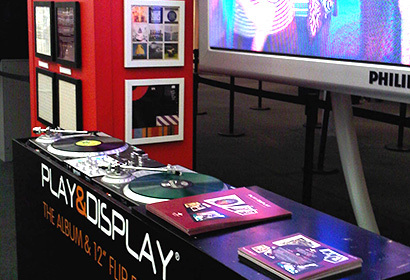 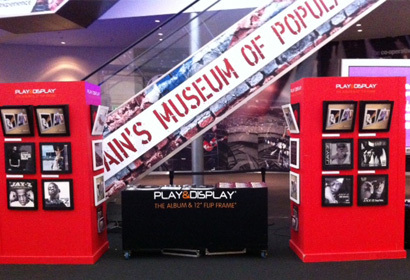 Art Vinyl regularly uses their mobile exhibition and DJ booth in venues around the UK so if you hear familiar sounds and see the sleeves you love, its probably us putting ‘Play & Display’ into action.